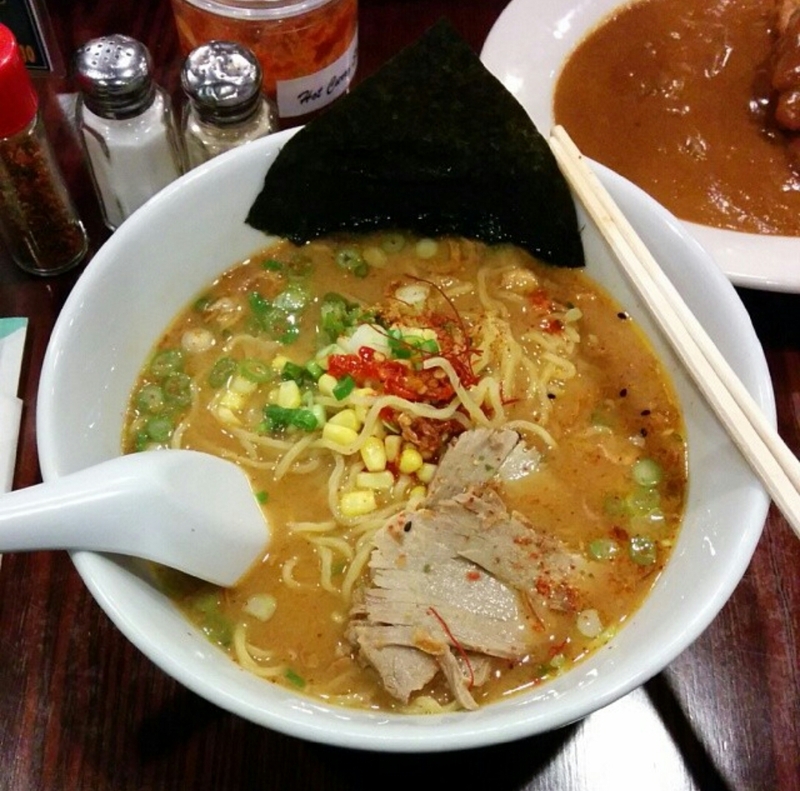 Pikaichi is a ramen shop that specializes in ramen, curry, and donburi. It is located near the food court of Hong Kong market (formerly Super 88). The decor inside is playful because of the red walls and the large dragon on the main wall when you walk in. Because of how small the ramenya is, they can only seat twenty people at a time. You may have to wait a little bit to be seated if you come during peak dining times. If that is the case, you can check out the food court or the market if this happens. The other plus is that there usually plenty of parking if you drive. When you enter, don’t be surprised when the wait staff loudly greet you with irasshaimase, or welcome, in Japanese. They serve four types of ramen- shoyu or soy flavored, shio or salt based, and miso, Jingoku or hell flavored- with yuzu shoyu being offered seasonally. The broth is chicken, pork and vegetable based. You can add on extra noodles, a half or whole boiled egg, three extra slices or pork, ground pork, a butter cube, wakame seaweed, corn, nori or seaweed sheet. Pikaichi uses the wavy yellow noodles made by Sun Noodles, one of the three major companies in the USA that produces ramen noodles. They state that they offer a larger portion of noodles, six ounces per order, instead of the standard five ounces that most ramenya offer. Personally, I never finish all the noodles in a standard order and think that Pikaichi’s noodle portions are more than generous. Every table has signage that encourages Pikaichi’s customers to start eating their ramen right away because they care about the texture of the noodles change the longer they sit in broth. I like that they care how their ramen is are experienced. You can also add on a small side order of curry-don, curry over rice, or chashudon, chashu over rice, to your ramen for $2. Spicy Pika miso ramen- homemade Pika miso flavored ramen with six ounces of noodles, three slices of pork, scallions, corn, and nori. 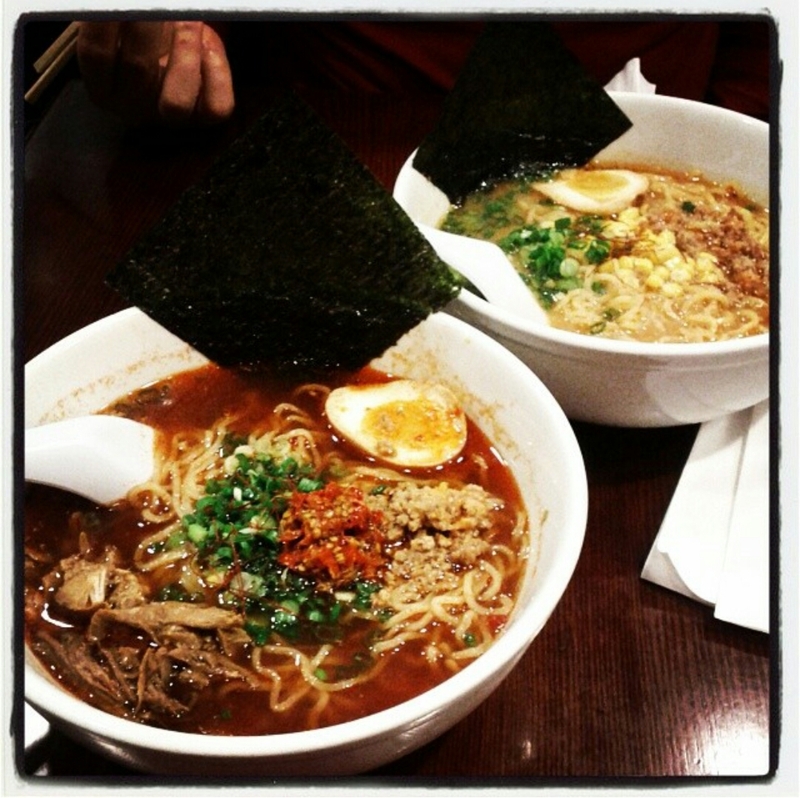 Jingoku or hell ramen pictured in the front and spicy miso ramen with ground pork in the back. Both with extra meat and half an egg addedspicinessally enjoyed how hot and spicy the jingoku ramen was. There was plenty of kick and afterburn. I always enjoy how the spiciness makes my nasal passages tingle. The tatsuta curry rice is very good. I usually get medium hot or hot depending on my mood. The medium hot has a nice kick and the hot has a bit of an after burn. There are nice pieces of flattened chicken and only a few onions in this curry, no other vegetables. The sauce is not too thick or runny, just the perfect ratio that allows the sauce to coat the rice. The one thing I will warn you about is that it comes with one order of rice and usually there’s enough sauce for two orders of rice if you are so inclined. 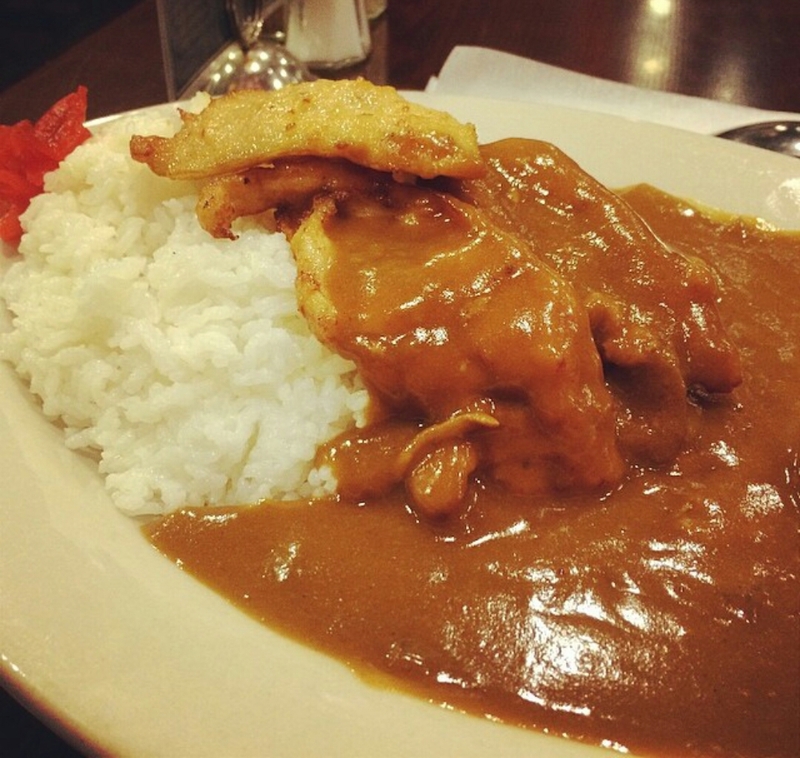 Extra rice for curry or donburi orders are free. Pikaichi is one of the few ramen shops in the area that allows take out. Most ramen shops do not let you do this in order to preserve the quality of their product. Pikaichi has no such qualms. Pikaichi is one of my favorite ramen shops in the Boston area because their food and service is very consistent. The staff is very friendly. It’s a great place to have a simple bowl of ramen.